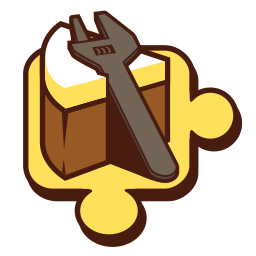 NuGet Gallery | Packages matching Tags:"Team-Foundation-Server"
35 packages returned for Tags:"Team-Foundation-Server"
This addin for Cake allows you to work with Azure DevOps or Azure DevOps Server. Linq to TFS extension methods. A set of extensions used to query a Team Foundation Server for collection items (Currently only works with WorkItems). Microsoft Visual Studio Services Release Client Integrate with Team Foundation Server 2017 and Azure DevOps Services from desktop-based, ASP.NET, and other Windows applications. Provides access to the Release Service via public REST APIs. Microsoft Team Foundation Distributed Task Web API Integrate with Team Foundation Server 2017 and Azure DevOps Services from desktop-based, ASP.NET, and other Windows applications. Provides access to the Distributed Task Service via public REST APIs. Microsoft.VisualStudio.Services.Notifications.WebApi Integrate with Team Foundation Server 2017 and Azure DevOps Services from desktop-based, ASP.NET, and other Windows applications. Provides access to the Notifications Service via public REST APIs. Microsoft.VisualStudio.Services.ServiceHooks.WebApi Integrate with Team Foundation Server 2017 and Azure DevOps Services from desktop-based, ASP.NET, and other Windows applications. Provides access to the Service Hooks Service via public REST APIs. Microsoft.VisualStudio.Services.Gallery.WebApi Integrate with Team Foundation Server 2017 and Azure DevOps Services from desktop-based, ASP.NET, and other Windows applications. Provides access to the Gallery Service via public REST APIs. Microsoft.VisualStudio.Services.ExtensionManagement.WebApi Integrate with Team Foundation Server 2017 and Azure DevOps Services from desktop-based, ASP.NET, and other Windows applications. Provides access to the Extension Management Service via public REST APIs. Microsoft Visual Studio Services Search Client Integrate with Team Foundation Server 2017 and Azure DevOps Services from desktop-based, ASP.NET, and other Windows applications. Provides access to the Search Service via public REST APIs.